Can I Safely Receive Botox in Ft. Collins From a Dentist? As the years go by, have you noticed slight changes in your skin? Does it wrinkle a bit more than you like when you laugh? What about the creases left next to your smile after chuckling? If you’re considering different ways to halt the aging process, you may have been considering getting Botox. The use of Botox is on the rise the more and more people recognize that it’s safe and simple to help maintain a youthful appearance. But still, many patients have reservations about the treatment—especially when they learn Botox in Ft. Collins is offered by their local dentist. Why might patients get Botox from their dentist? As people grow older, wrinkles begin to form in different places on the body—even your face. Typically, they start around the eyes. These are known as “crow’s feet.” But, of course, there are also those dreaded forehead wrinkles and laugh lines that form around your smile. People often choose Botox to prevent wrinkles from setting deeper in those areas. Many don’t know that Botox isn’t just used to treat wrinkles, though. Many dentists offer it because it can help to relieve the painful symptoms of TMJ disorder as well. By injecting Botox treatments in the appropriate places in the face, your dentist can stiffen the affected areas by filling them, causing less discomfort. This can help alleviate jaw pain and even chronic migraines, aiding in TMJ therapy in Ft. Collins. Your local dentist is actually the best person to trust with this procedure. 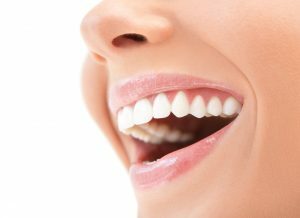 They are familiar with the inner and outer structures of your mouth that directly correlate to other areas of your face. Plus, most wrinkles take place when you smile, so they can inject Botox exactly where it’s needed. Botox Cosmetic has been approved by the FDA for the treatment of wrinkles for over just about two decades now. Although side effects are very uncommon, the most frequent effects reported are light bruising, temporary pain, or swelling around the injection site. These are all short-lived side effects until your body adjusts to the injection. While most patients make good Botox candidates, you should tell your dentist about your medical history and any current prescriptions you’re taking before receiving Botox treatments. If you are taking blood thinners, for example, your dentist may recommend a different treatment to help you reach your goals. Overall, Botox is perfectly safe, especially when you trust someone who is trained in the orofacial areas to administer your injections. Learn more about how your dentist can help you today! Here at Aspen Dental Care, we want you to feel confident in your health and appearance. That’s why we offer cosmetic treatments like Botox to our local patients. Not only can we help preserve your youthful appearance, but we can help patients improve their oral health with assisted TMJ therapy. Call us today to schedule your next appointment. Comments Off on Can I Safely Receive Botox in Ft. Collins From a Dentist?